How passionate are you as a pilot? How many aviation questions do you have in your mind that often keep you up at night or lose yourself in those thoughts? The internet is a massive place filled with opportunities to learn with most of the basic information that can be accessed for free. The real question is, is the source reputable enough and is it giving you the right information? Often times the most important information does not come for free. 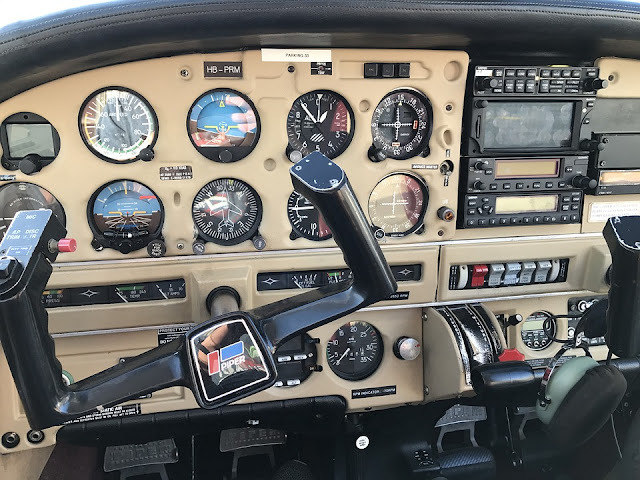 So we’ve listed down some of the best places on the web that has built a solid reputation in the industry and where pilots like you can learn on your own time. The International Civil Aviation Organization (ICAO) is a United Nations specialized agency, established in 1944 to manage the administration and governance of the Convention on International Civil Aviation (Chicago Convention). The organization has a long-standing aviation statistical program with recognized experts that is a leading provider of training solutions for civil aviation and defense. They are also one of the pioneers of e-learning and blended training solutions. Today the organization have mapped out their e-learning courses specifically designed for airport and airline planners, managers and operational staff, airport specialists in government and airline executives. 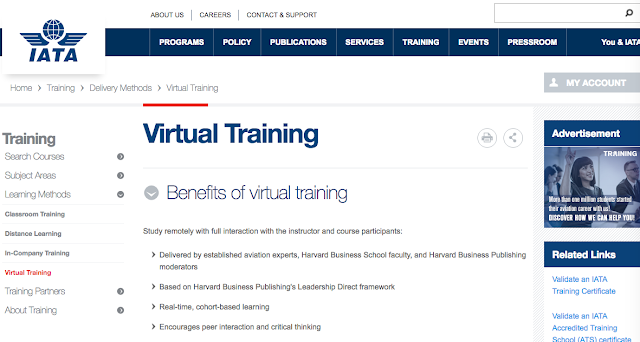 The course is delivered in a web-based interactive platform that is accessible 24/7. The great thing about their learning programs is it’s recognized worldwide which means what you learn can be applied in line with the global standards of aviation. 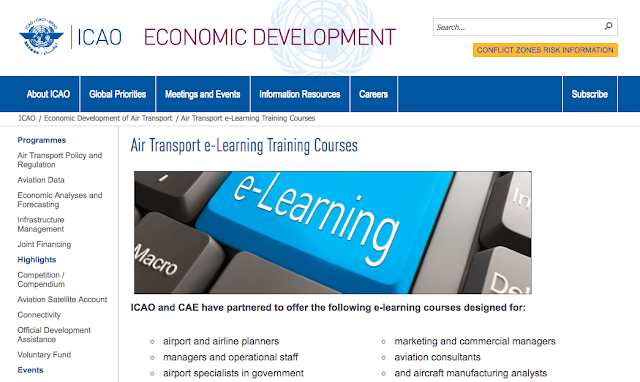 Some courses they offer: Air Transport Forecasting e-Learning Course:, Air Transport Economics and Regulation e-Learning Course, Air Transport Statistics e-Learning Course. FlightSafety is a world leader in Professional Aviation Training and Simulation Systems. They have more than 1,800 highly experienced professional instructors, 1.3 million hours of training conducted each year with customers from 167 countries all over the world. Currently, they have approved professional training for 135 aircraft models. 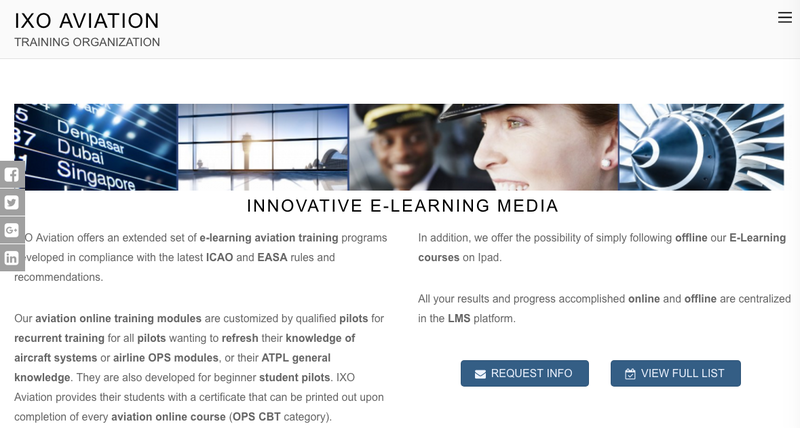 They also have 100 eLearning and LiveLearning courses and a combined 4,000 courses for pilots, technicians, flight attendants and dispatchers. Outside their e-Learning portal they have more than 300 full flight simulators and advanced training devices. Among its pilot courses, you’d be delighted to find Fixed-Wing Pilot Trainings, Level D Helicopter Trainings, Regional Airline Training Airlines, Trusted Maintenance Trainings, Aviation Professional Trainings, Simulation and Advanced Training Devices, and Training Systems for Militaries and Governments. 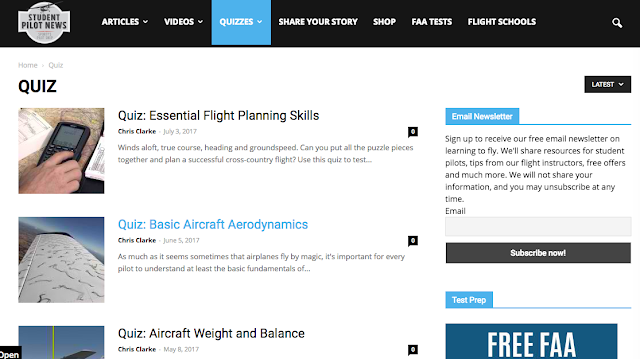 If you want to brush up on some theory and skills training, this website offers micro quizzes for the student pilot. It covers basic topics like Essential Flight Planning Skills, Basic Aircraft Aerodynamics, Aircraft Weight and Balance, Proper Aircraft Engine Operations and much more. 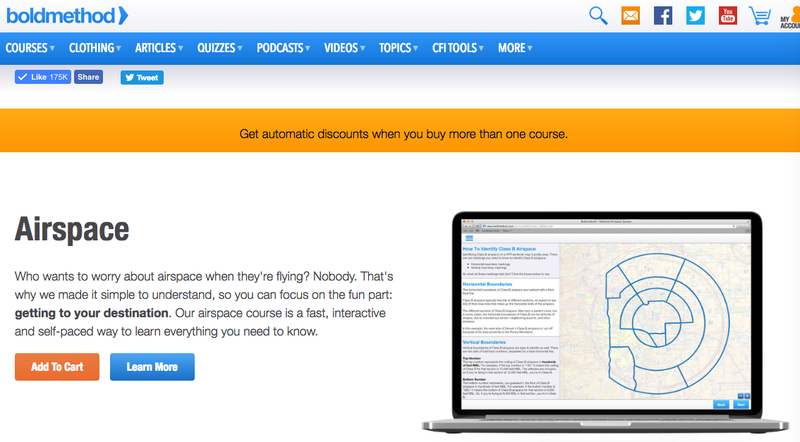 The website is run by John Zimmerman, Vice President of Sporty’s Pilot Shop’s Catalog Division. It is a labor of love as John grew up in the back of small airplanes and learned to fly as a teenager and belonged to a daily of aviators. He is hooked on anything with wings and flies a Citabria, a Pilatus PC-12 and a Robinson R44 helicopter on a regular basis. Bold Method is a favorite online destination for aviation lovers. The website produces shareable digital aviation and flight training content designed to teach, entertain and inspire pilots to earn their certification. Its e-Learning method uses real world examples like reading and interpreting maps or decoding and interpreting forecasts. Most of their content can easily be digested as it is published in chunks thru training topic articles, quizzes, lists, and videos. Of course, they also have paid courses like training on Airspaces, Weather Reports And Forecasts, VFR Charts and Publications and more. The International Air Transport Association (IATA) is the trade association for all the airlines globally. It represents more than 83% of total air traffic and helps formulate industry policy on critical aviation issues. IATA’s Virtual Training programs allow pilots like you to study remotely with full interaction with the instructor and course participants. Teaching staff consist of faculty from Harvard Business School and Harvard Business Publishing moderators. The program focuses on a participant-centered instructional methodology where it aims to encourage reflection, discussion, and critical thinking among its students. The overall impact of this method is transformational on both a personal and operational level. Courses include Aviation Leadership Development Program and Aviation Strategy Execution Program. 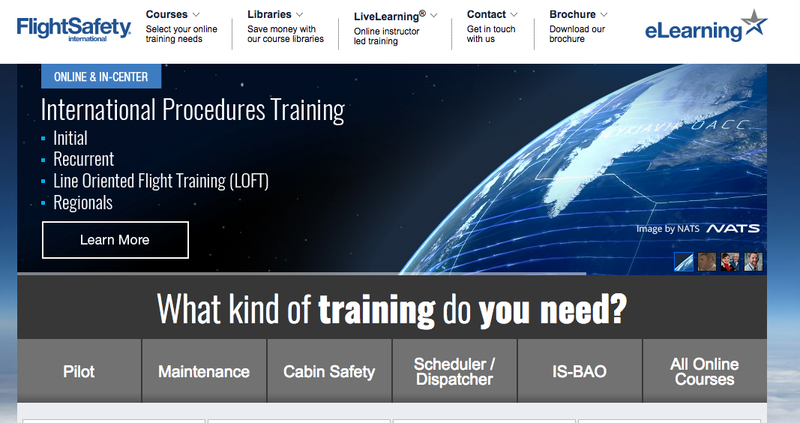 Aside from their e-Learning platform, IATA also has Classroom, In-Company, Distance, and partner training programs. Aviation eLearning consists of programming, multimedia and aviation professionals with more than 25 years in the aviation industry. 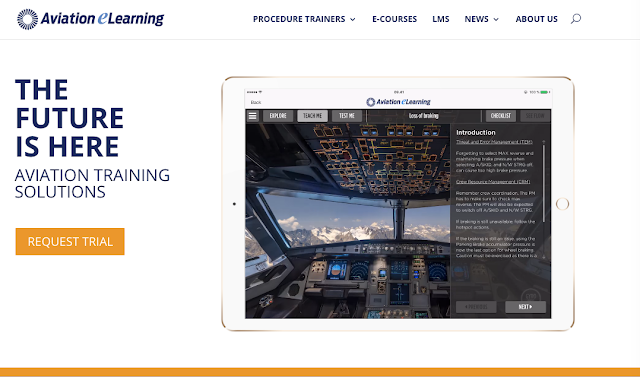 It is a learning management system (LMS) that provides real life case studies, training on Crew Resource Management (CRM) and Threat and Error Management (TEM). The system works really well with on-the-go learner, especially when having to leave a certain chapter untouched with its color coded chapters and progress tracking checklist. IXO is a Swiss Aviation eLearning portal that offers an extended set of e-learning aviation training programs. They are developed in compliance with the latest ICAO and EASA rules and recommendations that are centralized in the LMS platform. The online training courses are customized by qualified aviation specialists for recurrent training for any pilot who wants to refresh their knowledge of aircraft systems, airline OPS modules, or their ATPL general knowledge. There are also modules developed for beginner student pilots that comes with a certificate that can be printed out upon completion of every aviation online course. Created by Aerobatic World Champion Patrick Paris, Academy of Aerobatics is a video app with briefings to help aspiring aerobatic pilots learn the basic of aerobatics. Drawing from his long experience as a trainer, world class competitor coach, as well as mentor to aerobatic enthusiasts, Patrick saw a great way to help his students and any aerobatic enthusiast understand the journey ahead. The app allows the pilot to see a glimpse of what you can see if you’re tumbling up in the air together with how you should handle the cruise controls. 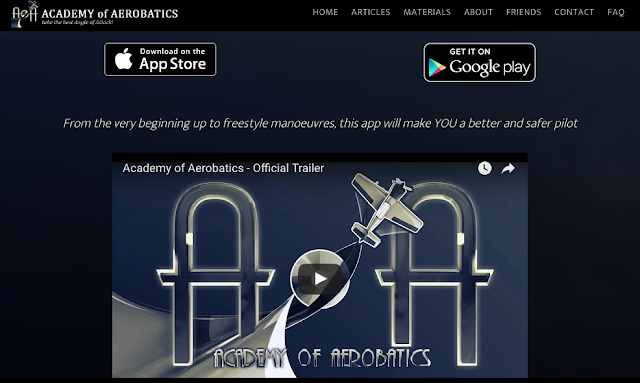 Like the concept of AoA as in the Angle of Attack, this video app tutorial will allow you to learn how to manage the angle of attack from every point—wether during take off, cruise, the circuit pattern, maneuvering, or emergencies. Well, that's our list. Thought about pursuing a higher level of learning for your passion? Check out these sites to see how you can expand your knowledge in areas that you've been thinking of taking but never had the time. With numerous of these eLearning sites today, you can learn wherever you are--even while in the cockpit above the ground.